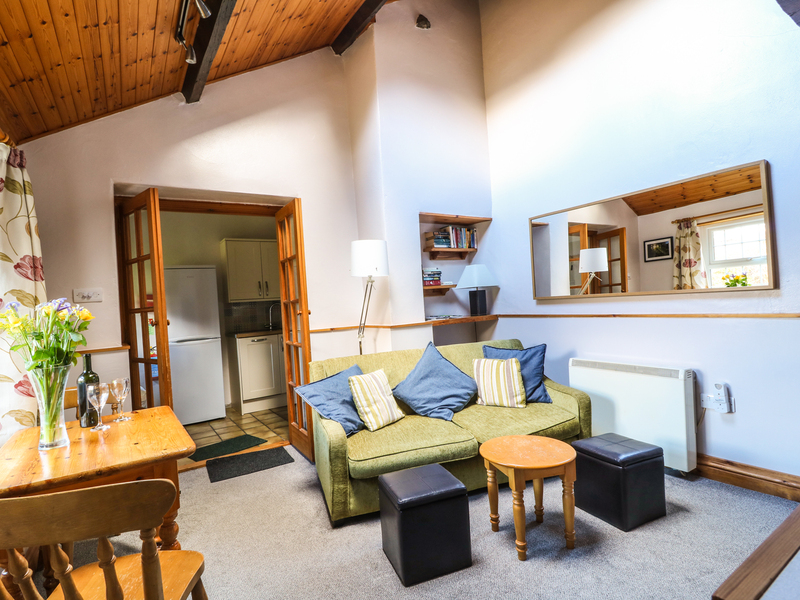 Crock Boys Bothy is a semi-detached cottage is located in the village of Glenridding in Cumbria. Inside, it has one mezzanine double bedroom, with a ground floor shower room and WC. Downstairs has a small fitted kitchen, with an open-plan living room with a woodburner effect fire, a sofa bed and a dining area. Outside has a shared lawned garden, with a private decking area. 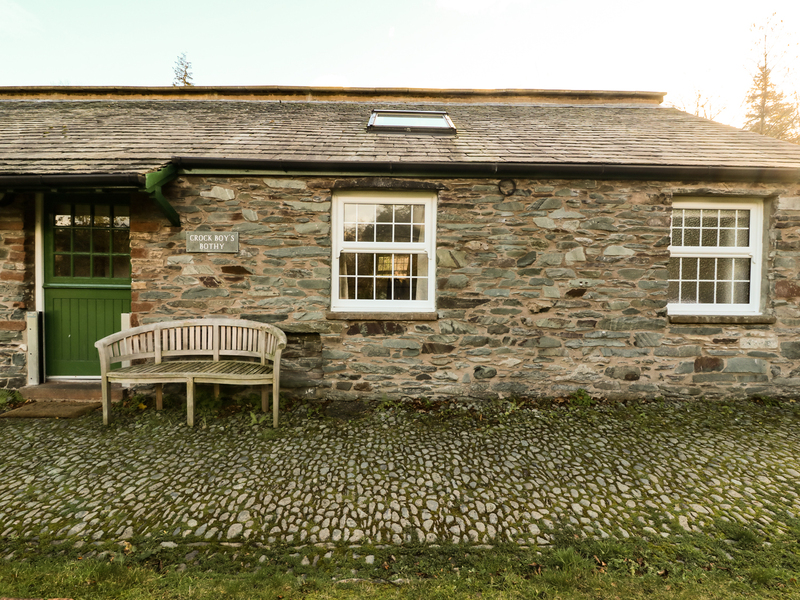 Crock Boys Bothy is the ideal secluded property for a romantic holiday. Electric storage heating with woodburner effect fire. Electric oven and hob, microwave, fridge/freezer, dishwasher, TV, WiFi. Fuel and power inc. in rent. Bed linen and towels inc. in rent. Shared front lawned garden with private decking and seating. Sorry, no pets and no smoking. Shop and pub 11 mins walk. Note: Check in time is after 3.30pm. Note: Due to location of the bedroom, low headroom.